Looking for a quick and easy breakfast that tastes delicious? 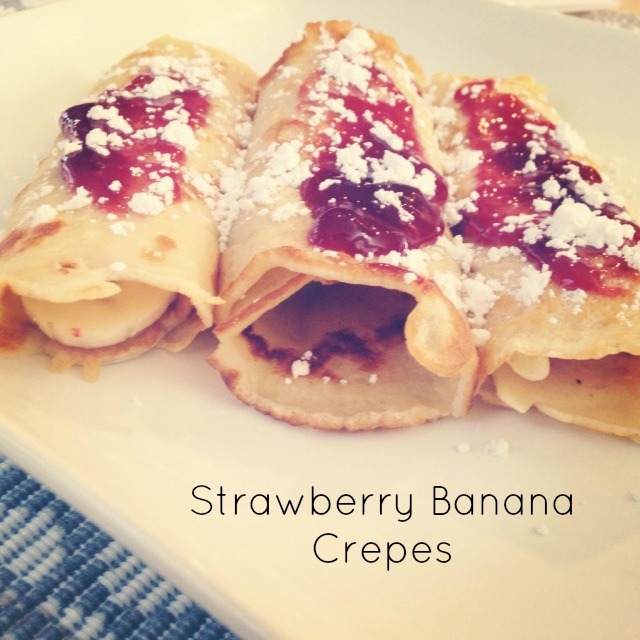 Then these strawberry banana crepes are a must-try. This simple batter can be made in minutes and then you just add your favorite toppings! 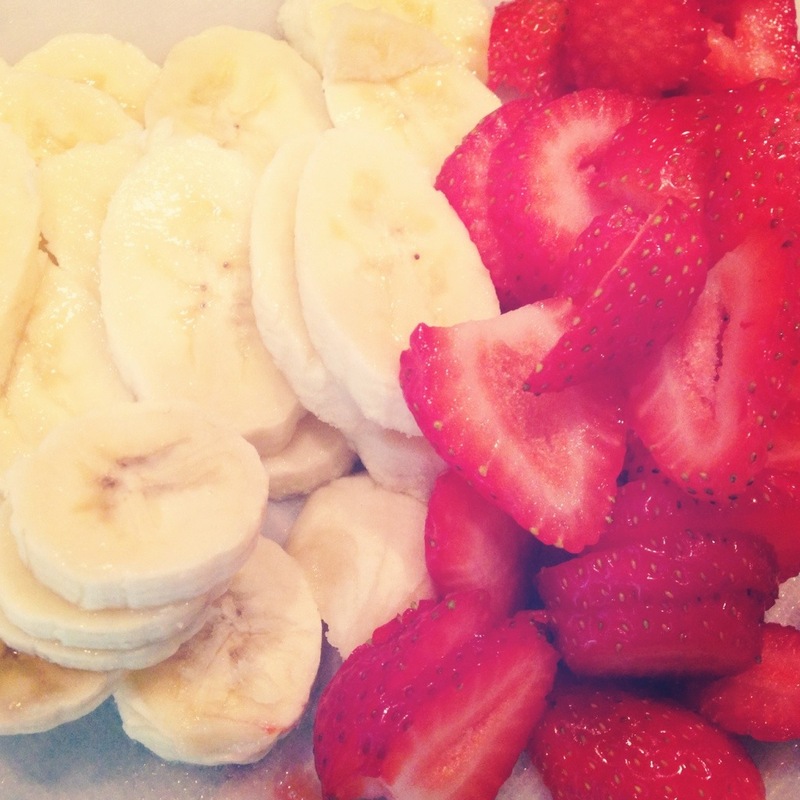 I had bananas and strawberries on hand so I used those along with strawberry jam. If I’d had whipped cream, I would have added that, too! I also had a few crepes plain with powdered sugar and syrup, which were also amazing. Whisk together eggs, milk, water and butter. Gradually mix in flour and salt until combined. Lightly coat a griddle or frying pan with canola oil. Pour spoonful of batter (about 1/4 cup) onto griddle and use spoon to spread out batter to create a thin circle. Cook over medium heat for 1-2 minutes, then flip and cook other side until golden brown. 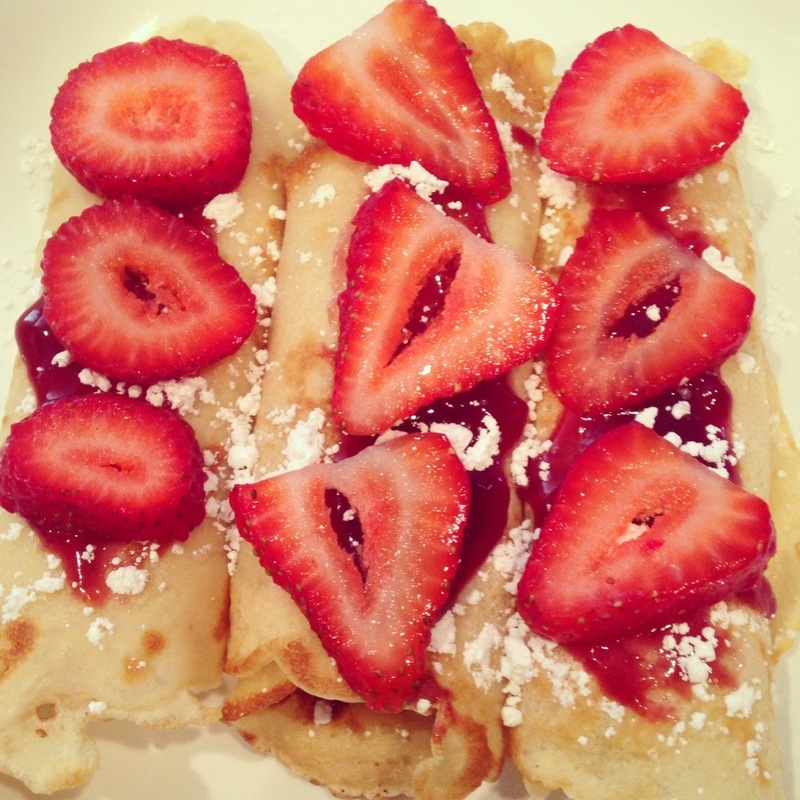 To keep the crepes warm while cooking the rest, place on cooking sheet in oven heated to 200F.